why do front end director ports WWN does not change after replacement in symmetrix? This question used to bother me for long time.I used to answer myself like their must be some mechanism EMC is using to get same WWN as old director port to even new director after replacement.Recently I found a primus which helped me to understand deep down on FA WWN. I will follow the primus emc223285 and try decode Symmetrix WorldWide Names (WWNs) on a VMAX. numbers same for any FA WWN of VMAX array. now let us break down reamaining WWN 2081349AD. Start by breaking down the hexadecimal digit WWN into binary. Starting from left to right, number the bits from 35 on down to 0. Follow below screenshot along with descritpion to undesrtand well. Bits 35 through 33:Bits 35 through 33 deal with the build location of the array. For any given WWN, one of the 3 bits will be set; the other two bits will be not be set. If bit 35 is set, the array was made in China and the Serial Number starts with CN49xxxxxxx. If bit 34 is set, the array was made in Europe and the Serial Number starts with CK29xxxxxxx. Lastly if bit 33 is set, the array was made in the USA and the Serial Number starts with HK19xxxxxxx. In the example provided, bit 33 is set, which indicates the example WWN has a Serial Number starting in HK19xxxxxxx. Bits 32 through 26:bits 32 through 26, deal with the Symmetrix Model Type. Refer to the following chart for a breakdown of the bits. In the example WWN, the break down of bits 32 through 26 is 0 0 0 0 0 1 0 which indicates the WWN is HK1926xxxxx. Bits 25 through 10:Bits 25 through 10 encode the last 5 digits of the Symmetrix Serial Number. Take those bits and place them into a scientific calculator set to binary, convert the binary into decimal, and you will receive the last 5 digits of the Symmetrix Serial Number. In the example, bits 26 through 10 come out to be 000 0001 0011 0100 10. Placing this into a calculator and converting from binary to decimal yields 1234. 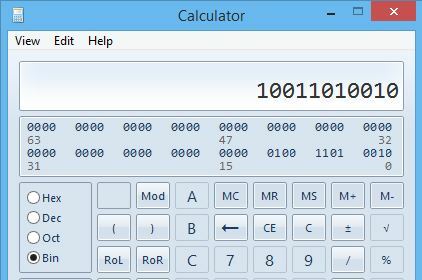 If the yield comes out to be a 4-digit number, front pad the number with a 0 to make 5 digits (i.e., 01234). The full Serial Number for the Symmetrix in the example WWN is HK192601234. Bits 9 through 6: Bits 9 through 6 hold the encoding for the processor letter (CPU letter) for the director. Use the break out of the bits to the chart below. Bits 5 through 2: Bits 5 through 2 hold the encoding for the director number for the director. Use the break out of the bits to the chart below. the last two bits:Lastly, the last two bits, bits 1 and 0, hold the encoding for the director port. If the bits are 00, then it is the 0 or A port. If the bits are 01, then it is the 1 or B port. In the example, it is port 1 or B. Inquiry utility (INQ) is a command-line troubleshooting utility that displays information on storage devices, typically Symmetrix. By default, INQ returns the device name, Symmetrix ID, Symmetrix LUN, and capacity. This utility will operate independently of any other EMC software.Use the INQ Utility to collect system information to provide to EMC Global Services for problem troubleshooting. But we generally use EMC grab report for that? Yes ,even INQ is also one of several tools bundled and run as part of the host grab utilities (EMC Grab and EMCReports). Can we analyze INQ output? Luckily we can analyze INQ output. below is the process. Generally we see two types of INQ output. It is Enginuity level dependent. 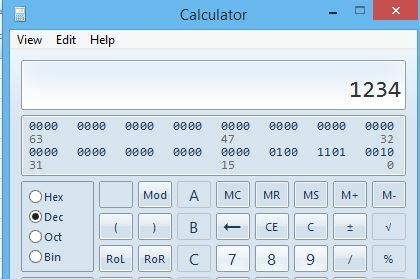 When running inq or syminq, you’ll see a column titled Ser Num. This column has quite a bit of information hiding in it. what if I don’t have INQ utility and can get only multipathing output? If I have only native multipathing? where exactly I can use this INQ or multipathing output ? These outputs will be helpful for us in knowing what storage devices server able to see from san side. this can help us in resolving device missing or path down tickets. where do I get INQ utility? Yup, I am done :). If you have more info or any corrections please feel free to mail me..
1) what is FC controller and disk controller & disk array controller? The disk controller is the circuit which enables the CPU to communicate with a hard disk, floppy disk or other kind of disk drive. RAID, thus it is sometimes referred to as RAID controller. It also often provides additional disk cache. A disk array controller name is often improperly shortened to a disk controller. The two should not be confused as they provide very different functionality. 3)Default ID for SCSI HBA? compatibility with the priority scheme of the 8-bit or “narrow” bus).so answer is 7. 4) Highest and lowest priority in SCSI? sequence is lower priority than the numbers from 0 to 7. So the overall priority sequence for wide SCSI is 7, 6, 5, 4, 3, 2, 1 , 0, 15, 14, 13, 12, 11, 10, 9, 8. A) We have different types of topologies like core edge and mesh topology. 6) How many disks are minimum for Raid 5? A) 3 disks are minimum for RAID 5. 7)Can Hotspare assigned for RAID0? A) For Raid0 we don’t have any parity. so there is no point in assigning hot spare since we cannot rebuild data from failed disk. A) HA means High Availbiliy.We do lot of things to maintain High Availbiliy in SAN like maintaining redundan fabrics, raid system, hot spares. All these things help us in avoiding single point of failures and allows system to handle faults of failures.